With a view to transform their digital presence and appeal to the modern customer, banks and financial institutions are investing in next generation technologies like artificial intelligence. The new age customer expects more from his bank, with access to cutting edge technological innovations like chatbots, personalized financial management platforms, personalized services being his top demands. To meet these heightened customer expectations, financial institutions are working on new technology innovations. One of the major areas of worry for banks is sharing day-to-day information with customers. Banks have identified customer service as a major hurdle with a recent Accenture survey stating that 74% operations executives named customer experience as their biggest priority. When an individual applies for a loan or a credit card, he is kept in the dark for days till he finally gets the loan or the card. In today’s fast paced world, customers find waiting on phone calls tedious and email replies are also not the optimal solution. E-commerce companies have done a great job in keeping the customer informed with accurate package delivery, personalized product positioning and instant customer support via chat. 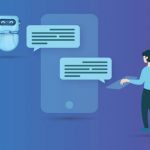 Financial Institutions have taken a cue from them and started taking efforts to keep the customer informed through simple conversational platforms like Chatbots. Chatbots can talk to the customer in the language of their choice, thus giving a private, personalized feel along with an ease of use, that is unmatched by any other channel. 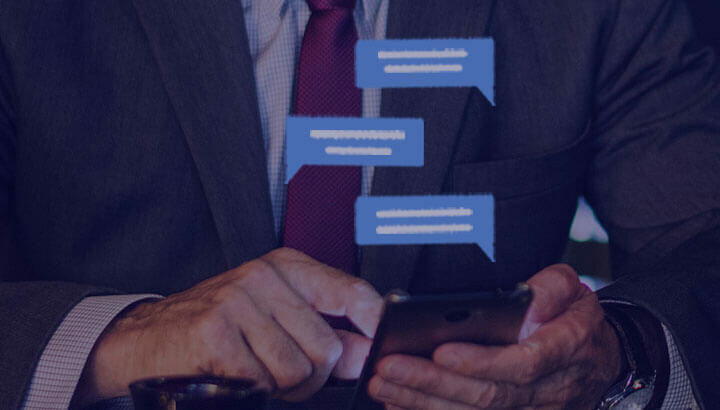 Moreover, chatbots can exist on a bank’s existing digital properties or on popular chat platforms, making it very easy for the customer to use them. Personalized Chatbots offer speed and relevance, thus appealing to the tech-savvy customer as a convenient, efficient and instant customer service mechanism. Becoming a conversational bank is key to engaging with your audience in the right way, reducing the turnaround time in resolving customer grievances and reducing customer service costs. Banks can create a positive experience by helping customers get access to their balance, account details, and service request status over chat. This would reduce a lot of customer service time and free up the internal staff to deal with exceptions, rather than handling routine queries. However, it is essential to invest in a good NLP engine so that the customers always feel that they are interacting with a person and not with a machine. Smart bots can lead to massive productivity not just for the bank’s customer but also for internal employees. A Gartner report has mentioned that 40% of all the customer-facing employees would consult an AI virtual support agent by 2022. Thus, chatbots can help employees focus on more important tasks, leaving menial tasks to be handled by the bot. Bots can also answer management queries around sales, targets, results and important internal metrics. Pulling up competitor data, internet research could now be done by bots, thus making information readily available for management so that they can focus more on strategic initiatives. Thus, chatbots can also help the internal employees work smarter and productively. Banks have started leveraging artificial intelligence and machine learning powered solutions to launch banking chatbots. Leading banks like Bank of America and JP Morgan have already integrated chatbots to their websites and apps, with some of them using chatbots for empowering customers while some using it to automate repetitive back office operations. Due to consolidation, banks today offer a lot of value added services through their online banking portal and all these services should be integrated securely to the bot. Integration to any banking backend should be easy and secure as more and more services get added to a bank’s portfolio. However, most of these chatbot implementations are still at a very nascent stage and need to be smarter to provide the best customer experience. Most of the current chatbot solutions are only able to answer basic questions and not able to conduct transactions. 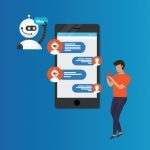 These basic chatbots would have worked a couple of years ago, but the new-age customer demands chatbots with complete transactional capability. 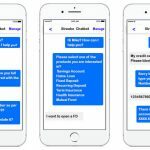 Banking chatbots today should be able to process transactions for fund transfer, utility payments and credit card requests seamlessly via chat.